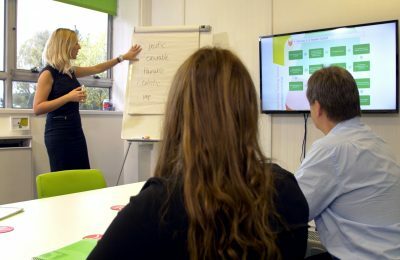 The senior management team at Fresh Flow helps organisations design and execute sales and marketing plans with our strategic marketing consultancy services. Working closely with your directors or management team, we will take you through a step by step approach to put in place a strategic plan with a clear vision for the promotion of your company and enable the tactical marketing plans to be implemented to achieve planned results and a sustained return on your investment. Our strategy input is designed to explain how your business should engage with its existing and prospective new clients, react to its competitors, and maintain its position in the market. Reviewing everything from your strengths, weaknesses and market position, through to existing marketing collateral, competitors and market trends, the aim is to develop a strategic and streamlined approach to accelerate you forward in the marketplace. 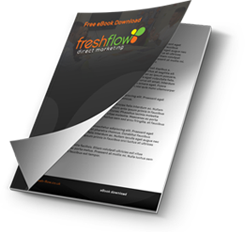 Fresh Flow will offer marketing consultancy and guidance on where improvements could be made and ensure that you are communicating your USP’s and key messages to your customers effectively. In order to undertake a positive action, you must develop a positive vision! If requested to do so; post any marketing consultancy recommendations, we can provide you with a detailed costed tactical marketing plan, covering the activities that need to be undertaken in order to move your business forward. Whilst strategy defines the desired goals and why you should go about achieving them, a tactical marketing plan clarifies the activity needed to deliver your strategic vision document. So tactics are the specific actions you take in implementing your strategy. These actions comprise what is to be done by when in what order, using which marketing tools and personnel. You may employ a number of tactics and involve many different departments and people in this effort to reach a common goal. You may even recruit suppliers to accomplish your objectives. Tactics typically require the involvement of the organisation as a whole. Click here for a case study on a integrated tactical marketing campaign. The specific strategic objectives must be defined with the tactics you expect to use to achieve them. The plan should reflect both perceived challenges and the expected end results and allotted budgets. Again how will you evaluate and measure your return on investment? Tactical planning is undertaken by those individuals who get the job done day by day. They draw up a tactical plan so they know what to do, when they need to do it, and this will help them deal with the “how” part of the plan. The main question for them is: “How can the strategic goals be delivered within the designated budgets, resource available and time lines outlined at the outset? It’s all about achieving planned results on time and within budget!